Hi Lis – I am an avid reader and off to Europe in 2012 for 8 mths so keen to take a kindle with me. What I am trying to find out is, if I purchase it now (the NZ model), what happens when I shop in Europe for kindle content? Will I have any problems downloading content over there? Do I have change “region” once i am there? Also, if the 3G kindle works anywhere in NZ for free that a cell phone does, will that still work in Europe or will it cost to download/use 3G over there? Does anyone know how the tech side of it workings? The Kindle 3 which I bought last week, has this in the terms and conditions for the New Zealand version “Free Wireless: Free 3G wireless lets you download books right from your Kindle. No monthly fees, service plans, or hunting for Wi-Fi hotspots. For non-U.S. customers, there are also no additional charges for wireless delivery in or outside your home country” – so it looks like if you have or buy the 3G version – you will have free downloads. If you you buy the (cheaper) WIFI only model you will need to either find somewhere with WIFI to download (real common in Europe hostels, hotels, cafes etc) or connect it to a laptop/computer which has an Internet connection. this is the kindle 3 version right? 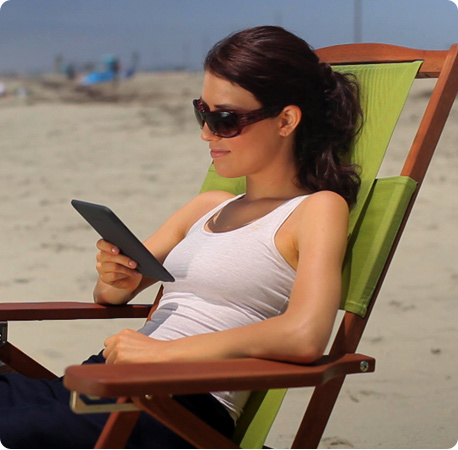 do you have some news about kindle touch and fire in new zealand?